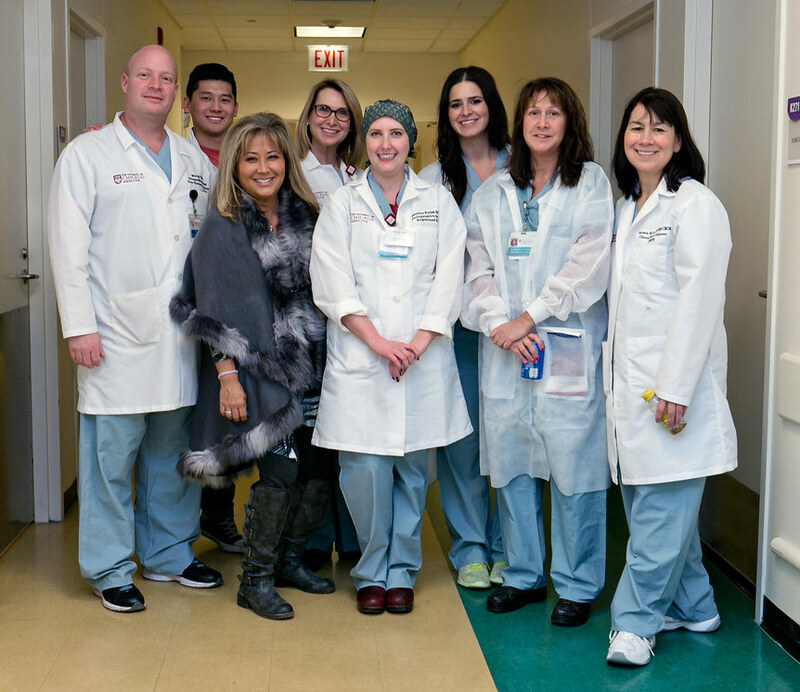 An interdisciplinary team in Periop comes together for a photo during one of several Fresh Start weekends in 2016. 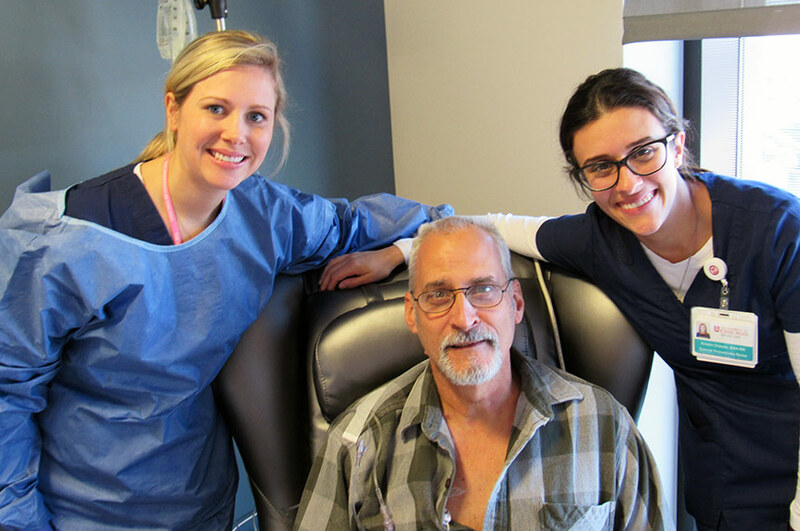 Nurses, physicians and techs volunteer their time to provide children with much-needed cranial facial surgeries. 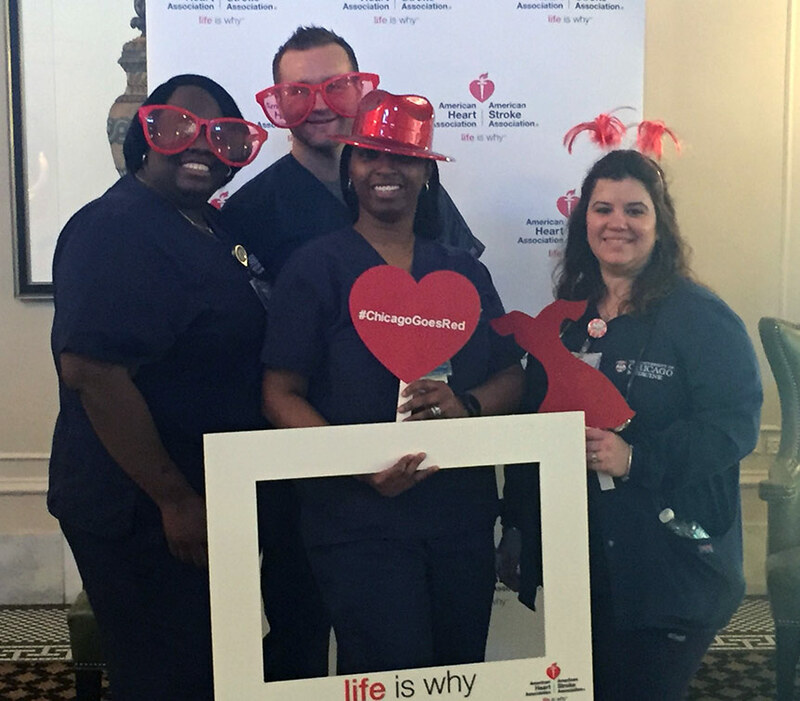 Having fun while promoting heart healthy lifestyles at the 2016 American Heart Association expo are Lakeitha Henderson, MSN RN, Patient Care Manager 3SE/3SW; Brock Zell, BSN RN, Patient Care Manager, 5SE and Infusion Therapy; Stephenie Blossomgame, BSN RN, Patient Care Manager 9E, and Ariadna Alonso, MSN RN, Hospital Operations Administrator. 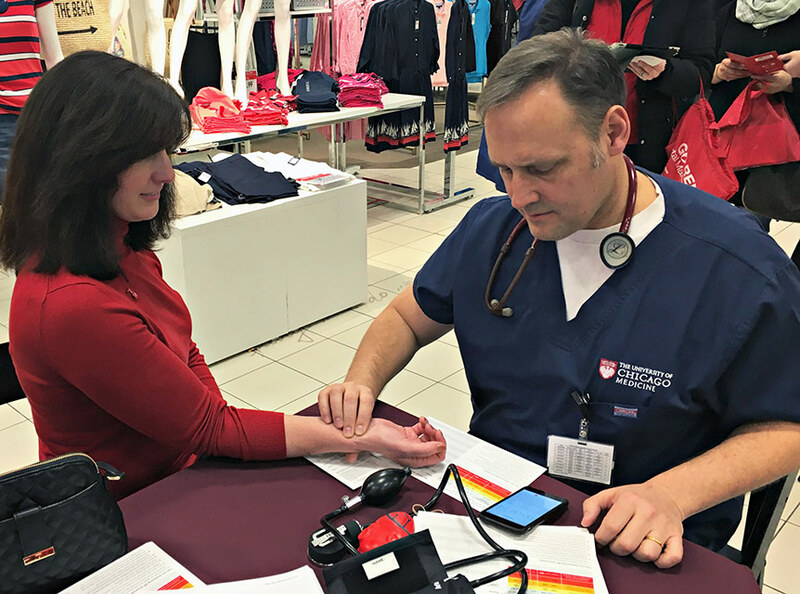 University of Chicago Medicine nurses give free blood pressure screenings at a Macy’s store at Woodfield Mall. The February 6, 2016, Macy’s Total Makeover event was sponsored by the American Heart Association of Greater Chicago and was part of American Heart Month festivities. 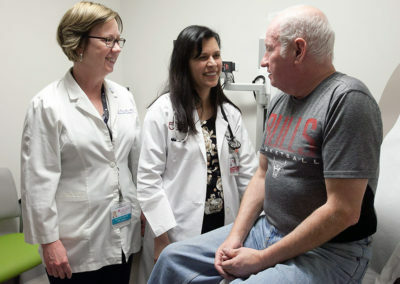 Endocrinologist Farah Hasan, M.D., and Donna Ellis, Diabetes Advanced Practice Nurse see patient Terence White of Channahon, IL, at the University of Chicago Medicine Center for Advanced Care At Orland Park. 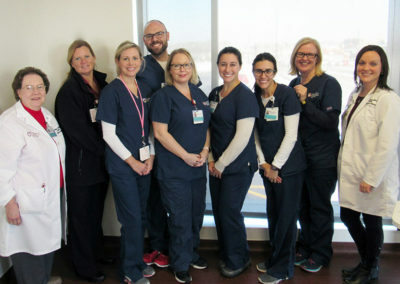 Nurse manager Jacob McCabe, MSN, RN, back row, teamed nurses and nurse educators from the Hyde Park campus with Orland Park nurses to ensure standardized caregiving, at the Center for Advanced Care in Orland Park, IL. 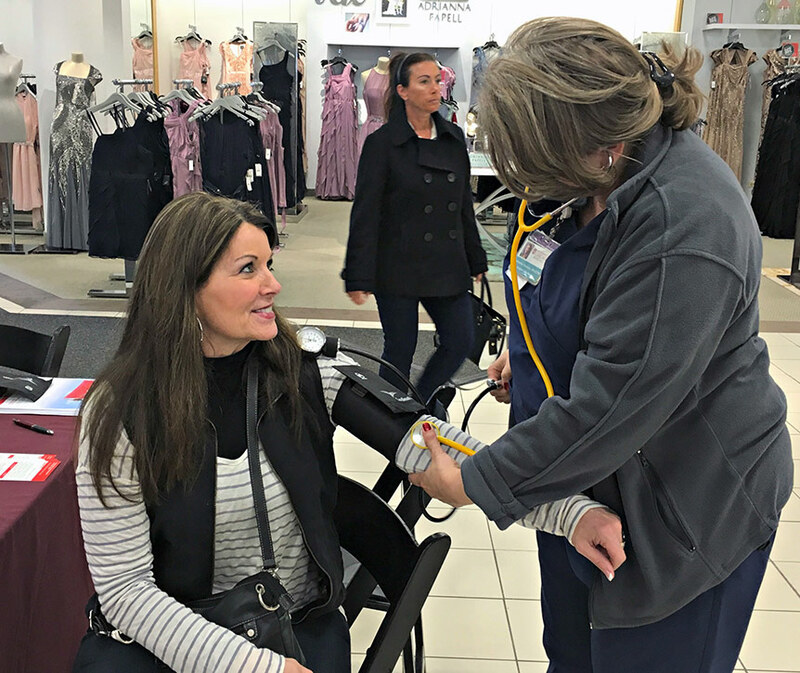 Extending our reach to the South and Southwest suburbs are Special Procedures nurses Eileen Ford, BSN, RN, left, and Kristin Oriente, BSN, RN. 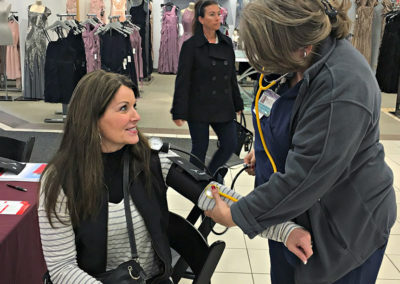 They are pictured with Bob Aucone of Kankakee, center, who was the first patient to undergo infusion in the UChicago Medicine Center for Advanced Care at Orland Park. 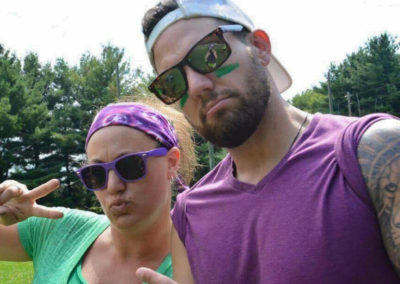 Kristin Demitroulas McMahon, left, MSN, RN, of 3C North/South in the CCD, with Social Worker Ryan Van Voorhis at the Crohn’s & Colitis Foundation’s Camp Oasis, a summer camp for children affected by inflammatory bowel disease. 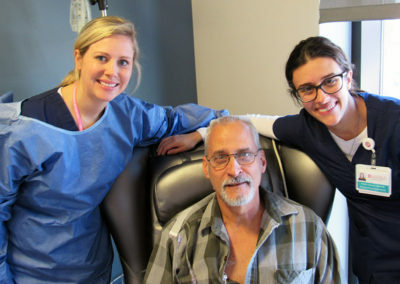 McMahon has been a volunteer at Camp Oasis for nine years. 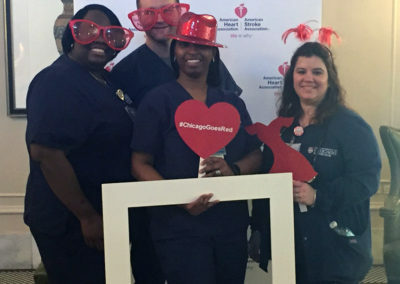 UCM nurses are proud to serve the health needs of the members of Chicago’s South Side communities. 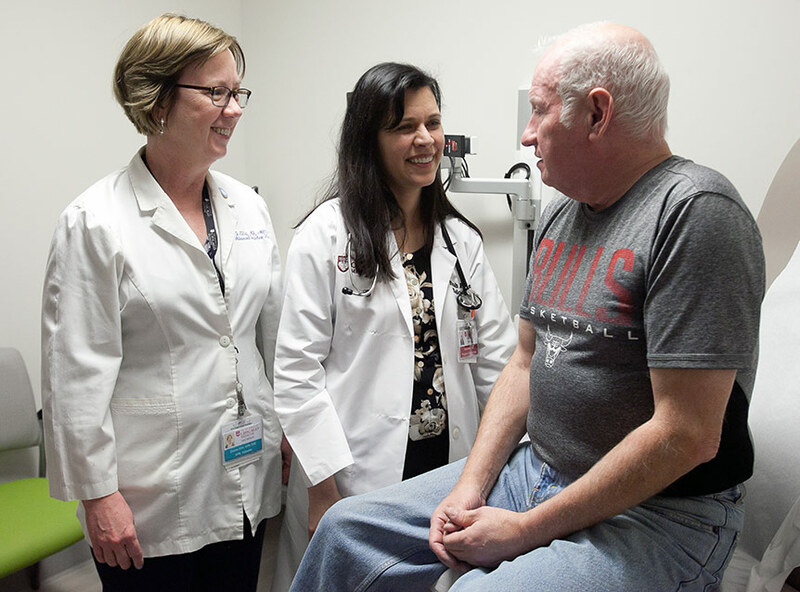 Patients and families in our community—the heart of our PPM—require our compassion, our advocacy and our respect. 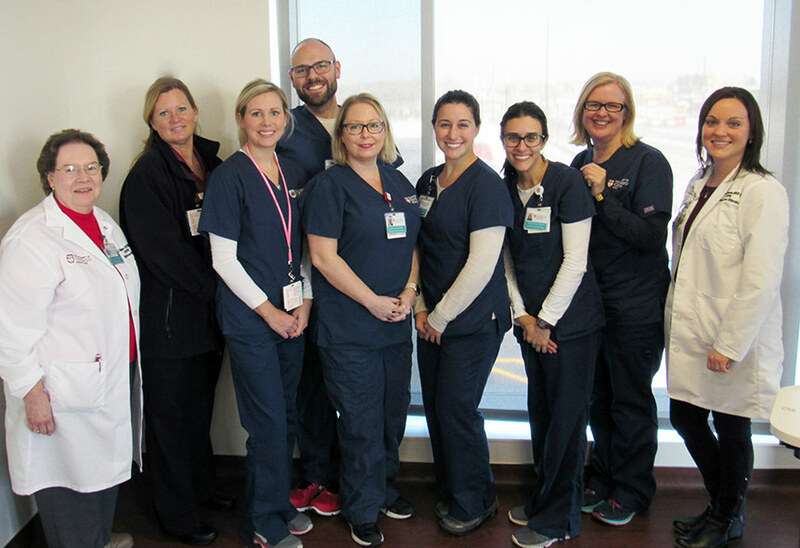 Our nurses lead the delivery of patient, family and community-centered care in partnership with an interprofessional healthcare team, with the ultimate goal of returning the patient to the community in optimal health. 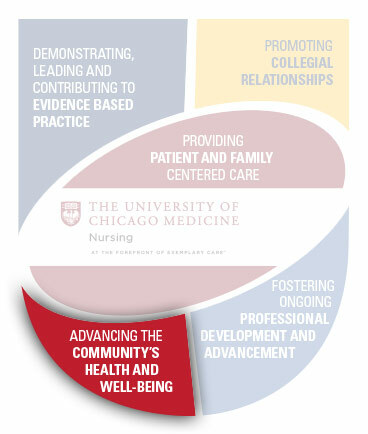 © 2017 The University of Chicago Medical Center. All rights reserved.